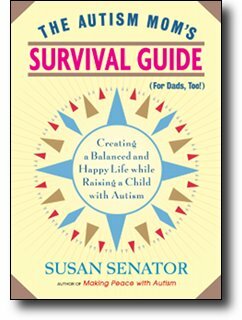 My wife Susan’s second book is out today: The Autism Mom’s Survival Guide. It’s about taking care of yourself while taking care of your disabled child, and it includes stories and voices from dozens of parents. Where her first book Making Peace With Autism was a personal memoir, this is a more of a support group conversation about how to structure your life around (but not exclusively for) a challenging child. Congratulations! I volunteered for a school's sports day specially conducted for Autistic kids here in Bangalore..just felt how useful this book could be to parents here. Is it available in India?